Peter Moore urges us all to not lament the passing of summer, but to welcome the arrival of autumn – and celebrate it with a holiday. Rather miserably, the English summer will soon be drawing to a close. Soon children will be being ordered back into the classroom, the sun will dim in the sky, and – by far the worst of all – before too long the Christmas adverts will begin. This all sounds rather depressing. But as the English autumn and winter linger on the horizon like some far off storm, what better way to cheer yourself up than an excellent autumn break? September is the new August. The prices are lower, the hotels are quieter, the beaches are bearable and the hoteliers are cheerful – happy that the end of the season is firmly in view. And what better destination for an autumnal getaway than the north coast of Europe? The Normandy beaches, the culture and cuisine of the Low Countries and perhaps as trip to Paris, a city brimming with history and romance. P&O Ferries are currently offering wonderful seasonal deals that allow visitors to escape to just such places. From £119 each way you can take a car and two people away for a five day break, travelling from Hull to Rotterdam; for just £30 you can get from Dover to Calais and – to save even more money – there are day trip tickets to France for just £25 return. Every year P&O Ferries carries hundreds of passengers to France, en-route to Normandy, so that they may remember the 10,000 Allied troops who died during the D-Day landings. John Hillman looks at the city of Caen, whose unfortunate inhabitants found themselves thrust onto the front line of one of the most brutal struggles in western history. The wealth of history that saturates the damp shores of Normandy covers almost every conceivable human experience. 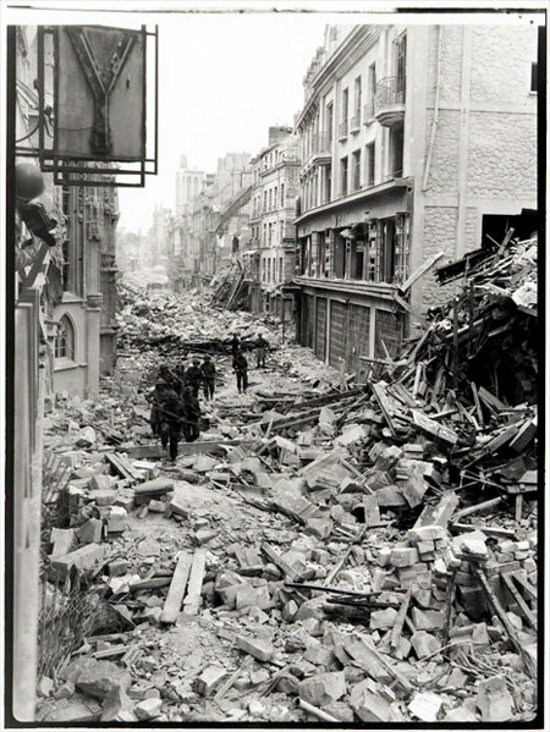 When the Allies landed in June 1945 and the people of Caen abandoned their beautiful city to the effects of that remorseless struggle, it must have occurred to one or two of them that the emotions they were experiencing couldn’t have been all that different from how the Anglo-Saxons must have felt a thousand years before, as they fled their Norman ancestors. However, it is truly difficult to imagine what they were thinking as they took refuge in the Hopital du Bon Sauveur, an eighteenth century asylum on the outskirts of town. They were being liberated from a brutal Nazi occupation by having their entire city utterly destroyed. 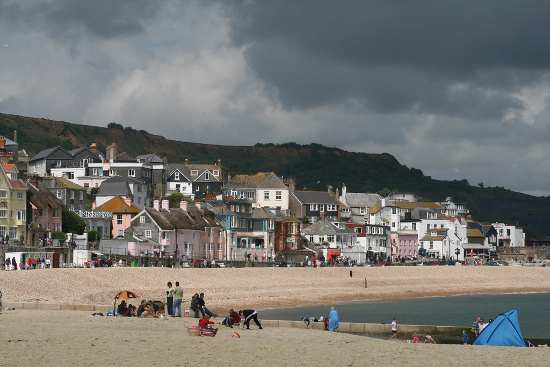 A city many Victorian visitors compared to Oxford, with row upon row of honey-coloured townhouses and two royal abbeys – the jewel of the Normandy coast in fact – forced to pay the price for having been previously occupied by the 12th and 21st German Panzer Divisions. Canadian tanks cut through the historic centre, crushing houses, shops, cafés and hotels on their way to the Ile St Jean – rudely grinding down on the remains of the ancient capital of Calvados. This final act of violence came only after a month long bombardment from the British and Canadian heavy artillery and more than 2,500 tons of bombs dropped by the RAF. As happy as they must have been to see the back of the German invaders, it’s difficult to believe that they felt much joy as they cleared the flower beds at the asylum to make graves for the war dead as the bombs fell around them. People still come from all over the world to remember those events in the middle of the last century, usually to remember a fallen relative or an old friend, but the people of Caen still live with the results to this day, surrounded by their post-war architecture – a salient reminder of the price you pay for being in the wrong place at the wrong time. Image Credit: Lt. Harold G. Aikman/Canada. Dept. of National Defence/Library and Archives Canada/PA-116510. P&O Ferries has a lot of policies to decrease carbon emissions, pollution and waste; they also play an active role in marine conservation through a number of innovative partnerships. Murali Podila takes a look at who they are and what they do to help the seas we sail over. P&O Ferries, as an industrial company, tries to play a major role in decreasing its environmental impact both on and off the sea. Examples of this include the sulphur scrubbers on board the Pride of Kent and a stringent attitude towards dumping waste and recycling. Their role in marine conservation is no less active. P&O Ferries actively participates in the Biscay Dolphin Research Programme, Marine Conservation Seasearch and also assists the National Oceanographic Centre Southampton (NOCS) in their research. The partnership with NOCS serves a very important purpose, as it undertakes vital scientific research into marine organisms, ecosystems and oceanic behaviour, particularly looking at the effects and behaviour of their currents. 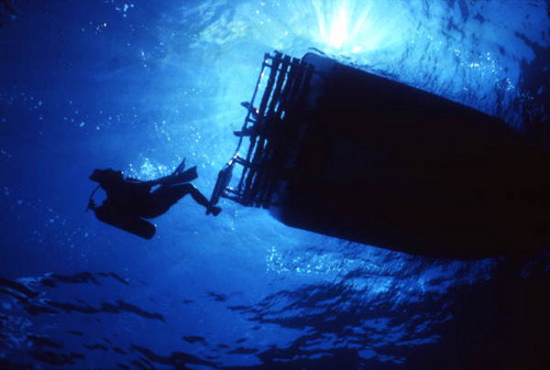 Oceanography, or marine science, is an earth science that covers a vast number of topics such as Geochemistry, ocean biology, ecosystems and ocean currents and behaviour. The NOCS make use of the Pride of Bilbao by putting equipment on the ferry to measure properties of the ocean water such as temperature, salinity and the density of plankton. The equipment used, a FerryBox, is an automated instrument that is filled with different sensors and analysers, providing a valid alternative to buoys, which are often both expensive and very high maintenance. The complexity of the instruments in the FerryBox is usually dependant on conditions in and around the ship. These measurements help scientist’s at NOCS learn more about the oceanic conditions and how they affect the wider environment. The NOCS is a world renowned oceanographic research institute that achieved international recognition after its contribution towards understanding the ocean’s role in the global climate system, and continues to work closely with P&O Ferries as mankind struggles to meet the environmental challenges of the 21st Century. Reflecting on how the gallic love of art has fused with our love of football to create the modern game John Hillman arrives at the conclusion that there are above all three Frenchmen we have to thank for this. Fans of art and football have not, historically, been placed in the same pigeon hole. In fact, until quite recently, the perception was that the only time an average football supporter appreciated a work of art was when he was using it to club someone over the head. But thankfully those days are long gone. 21st Century concepts of art and football have blurred to the point where football is perceived to have transcended sport to become an art form in itself. Meanwhile movements such as Brit Art have seen the art world invaded by people who have more in common with the football terraces than the Saatchi Gallery. Thinking about this idea it quickly becomes apparent how much France has contributed to this sea-change in football’s perception of itself. Amongst the many characters that have influenced this process, three Gallic figures really stand out from the rest. Chief amongst those is the French man whose intelligence and commitment to the high principle of football-as-art has made him many enemies in the club backrooms and sporting press desks of the English game – for so long the domain of the chauvinist, hard drinking, ex-playground bullies that characterised the sport in this country. I speak of course of Arsene Wenger. Arsene Wenger’s high principles, so quick to be attacked by the dinosaurs of the English football, finally appear to be bearing fruit this week, as the team he has been patiently sculpting for years at last looks like it is reaching its much anticipated potential; proven by clinical demolitions of two hardened British sluggers, Everton and Celtic, in as many days. It is no accident that in the decade since he’s been managing Arsenal we have witnessed the game evolve into the modern fast-passing phenomenon that we know and love. Zinedine Zidane, the greatest footballer of his, and some would say any, generation, evolved a style of play in the centre of the park so mesmerising, using delicate and intricate skills of such awe inspiring complexity, that watching him play in the Santiago Bernabéu Stadium, in Madrid, one of the most dramatic stages anywhere on the planet, was more akin to a night out at the Royal Ballet (but with much better bar snacks). This ability was encapsulated in the 2006 film Zidane: A 21st Century Portrait, which used 17 synchronised cameras to film every moment of the match in real time, rising dramatically to the point where he gets involved in a brawl in the dying moments then sent off. This film was made by a Scott, Douglas Gordon, and the renowned French artist and filmmaker Phiippe Parreno, whose exhibits have found huge success around the world for his use of multi-media generated imagery to focus on his unique interrogation of nature. His film is a milestone on football’s journey from working class pastime to international phenomenon, making any chance to see his work pretty much unmissable for true football enthusiasts. You can see Parreno’s latest exhibition until September 7 at the Pompidou Centre, Paris; a combination of short films and installations from the 1990s to the present day. Arsene Wenger’s latest work of art, on the other hand, promises to be widely available for mass consumption in almost every bar, sports club and living room on the planet for the foreseeable future. France:its revolutionary contributions to the world just keep on coming. Bilbao is often recognised for its wine and Basque culture, but Murali Podila thinks the Guggenheim Museum is pretty stunning too. With around 200,000 passengers going to Bilbao on the Pride of Bilbao, the ferry sure has something mystifying about it. Founded as a village around 1300, Bilbao is now a bustling metropolis filled with culture and architecture at the heart of the Basque country. The old city, or ‘Casco Viejo’, is made up of winding streets that are full of life with bars, restaurants, food markets and monuments including the Catedral de Santiago. On the West Bank of the ‘ría del Nervión’ or the Nervion River, contemporary Bilbao has revitalised the city with a series of major rebuilding projects. There is no doubt that the main attraction of this city is The Guggenheim museum. 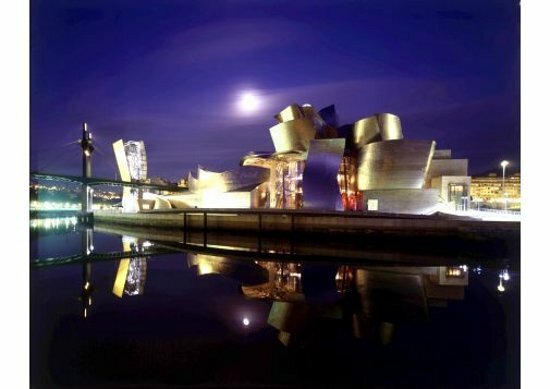 Opened in 1997, and designed by Frank Gehry, its spectacular design represents Bilbao’s drive towards being one of Spain’s major tourist destinations. In addition to that, the fine arts museum displays both contemporary and old age Basque art. Bilbao’s development is also been enhanced by flaunting new designs by internationally recognised architects. The Metro in Bilbao, designed by Sir Norman Foster, is almost an attraction in itself. It features many original entrances to the stations and the inside of the station offers large spaces with natural light coming in. Along with the Metro, the Zubizuri Bridge, designed by Santiago Calatrava, is an arch bridge that connects the new and old Bilbao and leads you to the Guggenheim museum. Despite a recent history of financial uncertainty, Bilbao has emerged as a dynamic city focused firmly on development. It may seem like a small matter of an hour and a half and a languid stroll across the quarterdeck to cross the straits of Dover, but it hasn’t always been that simple. In the early 1780s, the 22 mile stretch marked a great geographic challenge for the world’s very latest invention: the hot air balloon. Was it possible for man to drift over the treacherous seas, supported by nothing more than a globe of heated air? It was a seductive puzzle. Since the very earliest times, humans had been captivated by the idea that one day they might fly. Throughout the Renaissance more and more outlandish designs appeared in art and literature: winged chariots, bird machines and flapping boxes, none of which were at all practical. All of this changed in 1783 when a paper manufacturer from Lyon conducted an extraordinary experiment that involved flying paper bags. There were whispers in London of a French Flying Machine. The rumours were true. Over the next eighteen months designs were tinkered, experiments were conducted and, on 21 November 1783, the first manned hot air balloon flight was launched from a hill, just outside Paris. This first balloon was an enormous contraption that would be almost as unimaginable now as it was then. It rose 70 feet into the sky; it was an oceanic blue, adorned with mythical figures. Crossing the Channel became an obvious aim for these new ‘balloonists’. In his book The Age of Wonder (2008) the biographer Richard Holmes noted that there were three main contenders for the prize. They were Jean-Pierre Blanchard, Jean-Francois Pilatre de Rozier (Boulogne) and James Sadler (Oxford) – each of which struggled to find financial support. Eventually Blanchard secured the backing of a wealthy American physician, Dr. John Jefferies. Jefferies agreed to finance the flight for the fantastic amount of £700 and plans were put into place. On 7 January, Jefferies and Blanchard lifted off on a cool winter’s day from the top of Dover’s cliff, the Channel between them and the Pas de Calais was at its coldest. The men carried a barometer, a scientific compass, bags of publicity pamphlets and sand ballasts. From the start the relationship between the two was difficult. Blanchard was keen to steal all the glory for himself and he tried a number of tricks to hoodwink his co-pilot. One of them included manufacturing a lead filled belt. 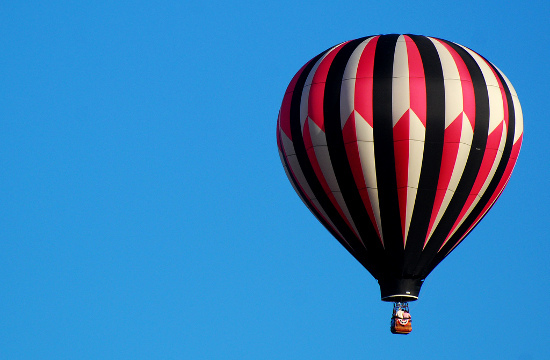 His plan was to convince Blanchard that the balloon was too heavy to take off, to ask him to step out of the basket, remove his belt and rise into the skies alone. The perilous journey began. Soon the men were out above the sea: the waves cracked angrily beneath them as they drifted slowly towards France. As they drifted, they lost height. First the ballast was thrown overboard, then their letters, technical equipment, food and all the drink except a bottle of brandy. Following Blanchard’s lead, Jefferies pulled off his clothes – one by one – until all that the two men were wearing were a pair of cork jackets and their underwear. And so, for the first time in human history, the Channel was crossed from above. Another milestone was achieved in the age when everything was possible, Richard Holmes has dubbed this age – between Captain Cook’s first voyage to the Pacific in 1768 and Darwin’s voyage to the Galapagos in 1831 – ‘The Age of Wonder’. It’s difficult to find that kind of adventure these days. So, as you watch the white cliffs disappear behind you on your trip to France – make sure you spare a thought for Monsieur Blanchard and Mr. Jefferies, floating perilously along in the hands of fate. More about Richard Holmes’ the Age of Wonder can be found here. Ever wondered how much marinelife you can spot on one trip accross the Bay of Biscay? John Hillman discovers an abundant ocean teeming with different species and a group of volunteers working hard to protect them. The Bay of Biscay is best known for its seafood and surf, amateur sailing and the ferry route to Northern Spain, but it is also home to one of the most diverse collections of wildlife anywhere in the world. The Biscay Dolphin Research Programme (BDRP) travels with P&O Ferries on special wildlife mini-cruises throughout the year, collecting endless data as they try to paint a picture of the lives of the hundreds of dolphins, whales and porpoises that inhabit the deep water canyons of this busy shipping route. It is estimated that over a quarter of the world’s different species can be found here, along with a vast wealth of sea-bird varieties. Since 1995 they have been monitored by BDRP volunteers from the decks of P&O Ferries’ very own Pride of Bilbao. Despite our more enlightened times these mysterious sea creatures face a daily battle for survival against man made dangers such as commercial whaling, noise pollution and even capture for use in public shows. The monitoring work done by BDRP does much to assist conservation efforts in this field and you can participate either by donating to the charity or by joining the BDRP and P&O Ferries for a wildlife watching mini-cruise this September 17 or 20. The three-night trip will cost £99 per person and includes talks and presentations as-well as the chance to spot whales and dolphins in the company of experts. Last year wildlife watchers spotted more than 3,300 cetaceans. 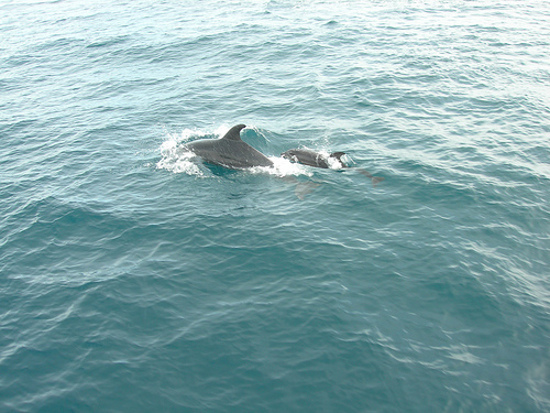 These included harbour porpoises, and bottlenose, common and striped dolphins, all of which could be seen enjoying themselves surfing the ship’s bow wave. Whale sightings included minke, fin, sperm, pilot and beaked whales. The rolling September seas are a perfect time to spot wildlife and the trips promise to be a real voyage of discovery for all. If this is something you’ve often thought about but never got round to doing then this is your last opportunity before the onset of winter, so don’t delay. Bizarre or brilliant, boating is always good fun with the right company, but what if you could race a boat built like a banana? Pavla Tolonen delves into Belgian bathtub racing. As peculiar as any local fête, the International Regatta of Bathtubs proves tricky for foreign comprehension but elaborate and exciting for eager inventors. Boasting previous contraptions such as the crisp bag float and a Viking ship, the race is entirely based on baths, and bans any sort of motor which is not made of the actual thing. Tricking or sabotaging a competitor is another absolute no-no, but fighting to the end is a requirement – so is actually floating. The tub, these days, is hardly visible, as the designs have become increasingly sophisticated and detailed with motifs ranging from political activism to peddle-bike simplicity or butchers who simply like meat-cleavers. Despite this, it is still very much a family event, and bringing a child to the race is crucial for its future boat-building abilities. 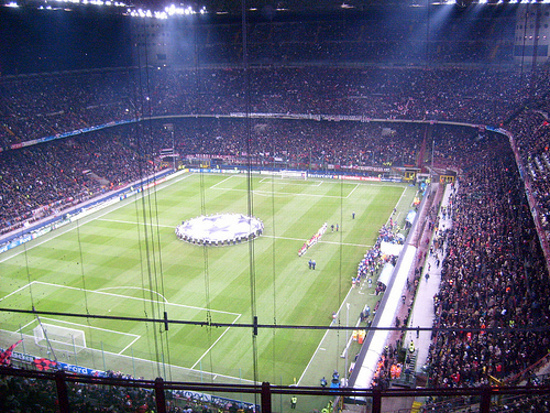 Around 20,000 people join in on the event. Lucky contestants sail down the Meuse River with a wide-eyed audience perched in the 11th century Citadel up the hill from which you can see the whole town, especially the Collegiate Church of Notre-Dame. Others sit by the river front on picnic blankets or chairs from local cafés. 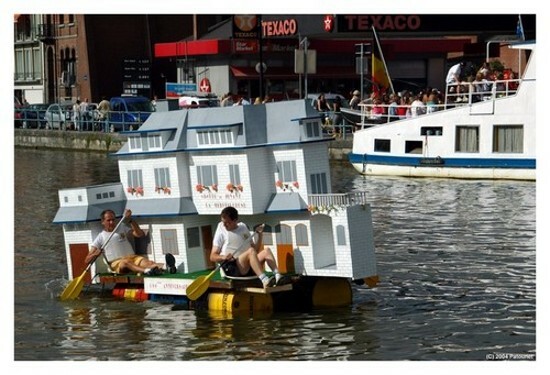 Social aspects aside, Dinant is hailed for fostering far more creative talent than just bath racing. It is the home of David Dinant, the pantheistic philosopher who believed “God is everything”. It is also home to Adolph Sax who invented the saxophone in 1846, however the town lost some of his legacy to Paris as he studied there and was buried in the Cimetière de Montmartre. As well as creative thinkers, the town has seen many battles and once faced an 800-people massacre by the Duke of Burgundy who ravaged the area for many hundreds of years. Now the locals prefer to emphasise on the race and the “Couques de Dinant”, small honey, clover and ginger biscuits, which are rumoured to be the hardest biscuits in Europe. Dinant, which is 98 kilometres south of Brussels, has celebrated the regatta for 26 years, proving one of the oldest bathtub races in the world, and is only rivalled by a few other serious nautical contenders like the BayFest at the Marine Corps Bay in Hawaii. The 27th regatta will be held on 15 August 2009.